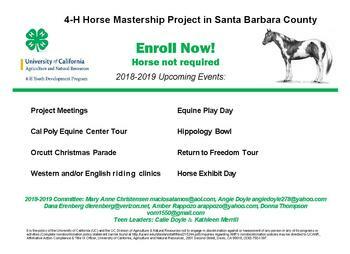 Fun and educational activities for horse lovers at all levels. 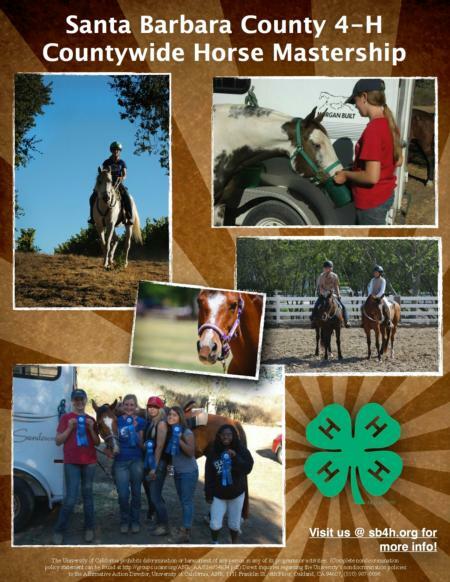 Our goal is to develop caring competent horsemen and women who carry their passion into their clubs, communities, country and world to the benefit of horses and their people everywhere. Youth must be 9 years or older. ASTM/SEI approved helmets required and must be worn whenever working with horses on the ground or in the saddle.